What Are the Dangers of a Rusted Dishwasher Prong? Dishwasher racks are made of coated metal, but after much use, that coating can wear away, exposing the metal underneath. 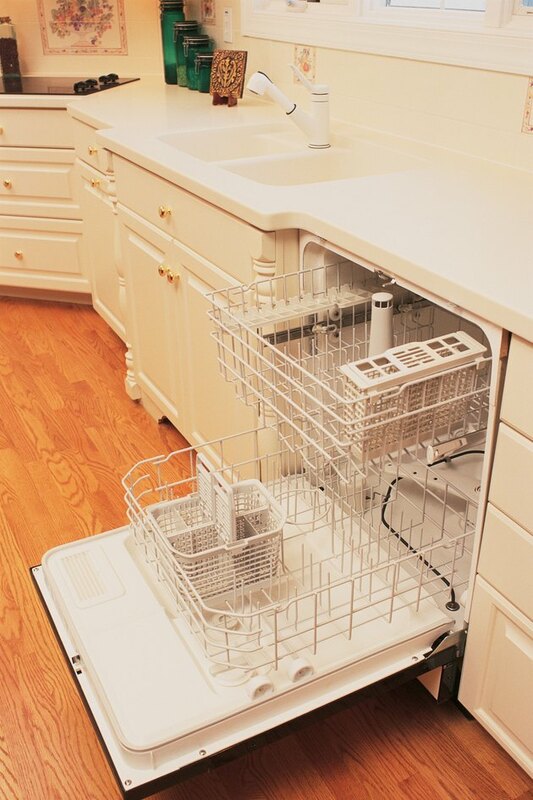 Constant contact with water can cause the metal to rust, causing several problems with your dishwasher. A rusted dishwasher prong can alter the look and feel of your dishes, and ultimately may affect your health. Fortunately, there are ways to take care of a rusted dishwasher prong that don't involve purchasing a whole new rack. The dishwasher prongs hold items upright and separate from each other. It's a common misconception that rust causes tetanus, a serious disease. Tetanus is caused by a bacteria that enters your bloodstream through an injury. It is generally found in the soil, so dirt is more likely to cause tetanus than rust. People cannot contract tetanus by eating rust. Because rust is oxidized iron and iron is one of the minerals your body needs, your body won't have any problem with eating rust. An exposed metal prong will not cushion dishes like a coated dishwasher prong should. The sharp metal can scratch plates and glasses, and even cause a dish to break if the water jet pushes it hard enough. As the rust flakes off, it is dispersed through the water and coats the dishes in a thin, unsightly layer of film.Rust-coated dishes may feel gritty and look streaky. The mineral can also build up on the heating element, reducing efficiency. Rust, along with other hard minerals like calcium and lime, can build up on the inside walls as well. Besides the possibility of ruining your dishes, an exposed metal prong in the dishwasher can injure you or a family member. A rusted metal dishwasher prong could scratch or puncture your skin, causing pain and possible infection. If the wound is serious enough, it may require stitches. There is a small chance of contracting tetanus with any puncture wound, rusty implement or not, so seek medical attention just in case. Scrub the rusted prong with steel wool to remove any loose flakes of rust. Cap the rusted prong with a rubber cap, which will seal the exposed metal from water and cover any jagged ends. Another option is to purchase a liquid sealant that you paint over the exposed metal. The sealant dries as a rubbery, waterproof coating that prevents rust from developing and encloses the metal in a soft casing that won't harm dishes.